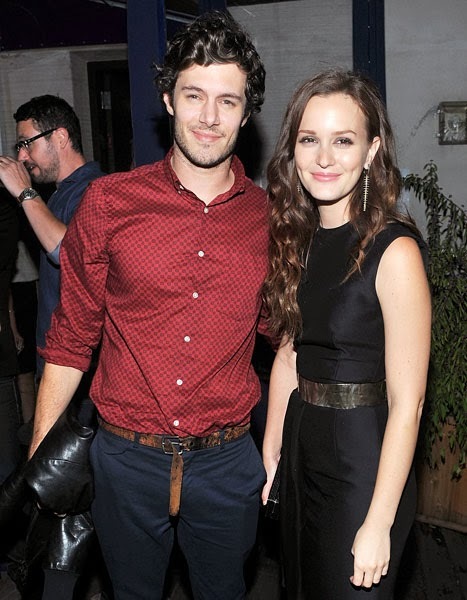 After less than a year of dating, Leighton Meester and Adam Brody are engaged to be married, a source confirms to Us Weekly. Wonderwall was first to break the news of the couple's unexpected wedding news. Just last February, Us exclusively broke news that the Gossip Girl actress, 27, was dating the O.C. actor, 33. The pair (whose breakout TV shows were both created by Josh Schwartz) worked together on the 2011 film The Oranges and began "hanging out" in early 2013. It will be the first marriage for both. Before Brody, Meester dated actor Aaron Himelstein before calling things off during the 2012 holiday season. Brody, meanwhile, squired director and screenwriter Lorene Scafaria back in 2010.